Isle of Man. 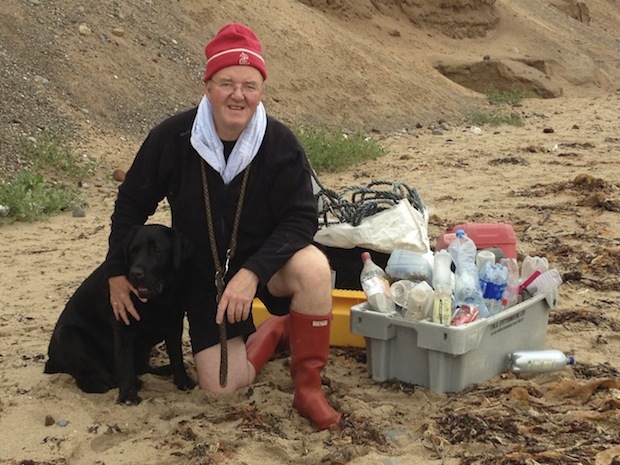 Help keep our beaches tidy. Nigel Watson. Beaches around the Isle of Man are not too different to many others in this modern world. There is a lot of plastic being washed up. Moving rubbish of beaches is a gargantuan job which until we significantly change how we package items will remain so. On the Isle of man because of its exposure to the fishing industries and trawlers of the Irish sea there is also washed up your own private litter bin, normally accustomed to carrying fish onboard a trawler but for whatever reason now finds itself alone on a sandy or rocky outcrop. Make a difference on your beach walk start a garbage cache and just move it as far as you can back towards a rubbish pick up point. A few metres will suffice .. great if you can get all the way. Next time you are back move it a bit further and you never know perhaps someone will have moved it forward for you.